High Quality Content by WIKIPEDIA articles! 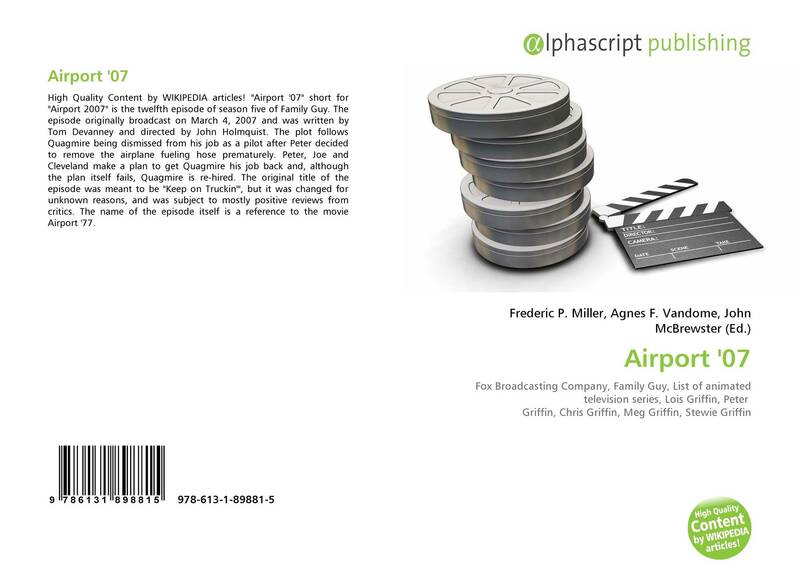 "Airport ''07" short for "Airport 2007" is the twelfth episode of season five of Family Guy. The episode originally broadcast on March 4, 2007 and was written by Tom Devanney and directed by John Holmquist. The plot follows Quagmire being dismissed from his job as a pilot after Peter decided to remove the airplane fueling hose prematurely. Peter, Joe and Cleveland make a plan to get Quagmire his job back and, although the plan itself fails, Quagmire is re-hired. The original title of the episode was meant to be "Keep on Truckin''", but it was changed for unknown reasons, and was subject to mostly positive reviews from critics. The name of the episode itself is a reference to the movie Airport ''77.